Launch LA and 88.5 FM KCSN present Los Angeles’ 12th annual music & arts festival, Tarfest 2014, which will return to the La Brea Tar Pits (Hancock Park) 5801 Wilshire Blvd. Los Angeles, CA 90036, on Saturday, September 20th from 1pm – 8pm. The FREE music and art festival will feature rising local artists, musicians and bands, with performances by Hunter Hunted, The Moth & The Flame, DNTWN, Tapioca & The Flea and The Dead Ships. 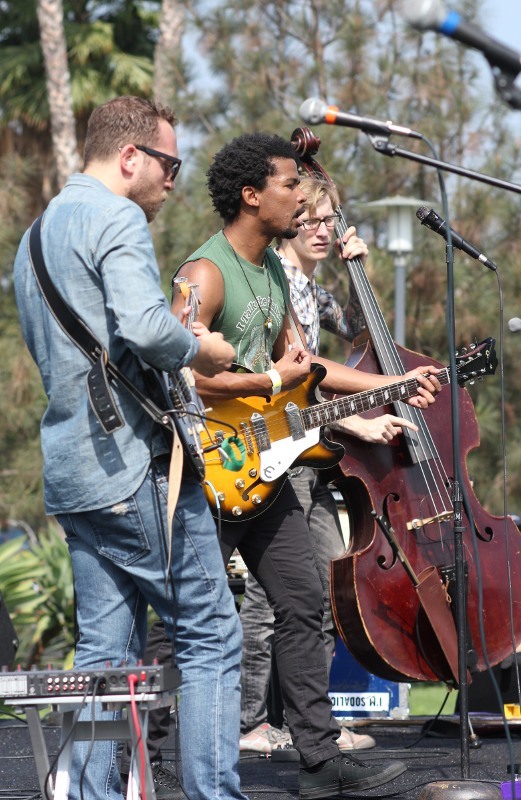 This year’s music program was curated by Launch LA and Kevin Bronson of BuzzBand.LA. The 12th annual festival, will feature something for the whole family including food, drinks, art, activities and more. 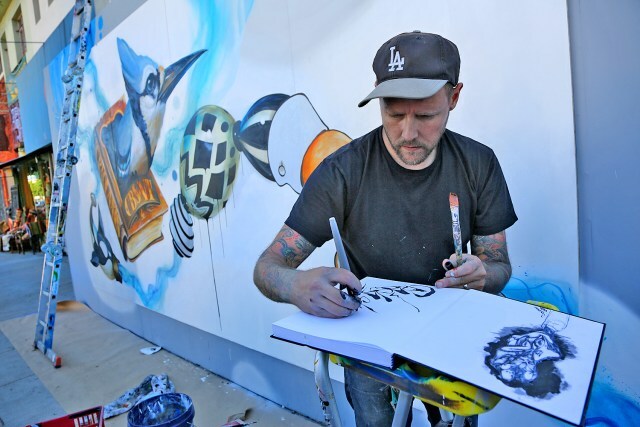 Local artists Greg “Craola” Simkins, Nicola Verlato and DevNGosha will be live painting while popular food trucks, The Grilled Cheese Truck, Baby’s Badass Burgers and Sky’s Gourmet Tacos, will be on hand serving food. The festival will also include a Lagunitas Biergarten and the Little Bar Wine Bar. Kids’ activities will be presented by The Japan Foundation, Los Angeles, the Petersen Automotive Museum and Orchard Supply Hardware. New this year, Launch LA presents the Launch Art Pavilion curated by Merry Karnowsky. Programs include a special exhibition of James Griffith’s paintings that explore Darwin’s theory of Natural Selection through skillful images of animals painted with tar from the La Brea Tar Pits on canvas and panel. This art program will also present original artwork and limited edition prints by established and emerging artists. Proceeds from the art sales and auction will benefit Launch LA programming and Tarfest production costs. Finally, another special collaboration with the TintypeBooth and Lucie Foundation takes photography back to its Analog roots as attendees document themselves and their day using a vintage wet plate process. Excavating future culture on The Miracle Mile, the annual Tarfest festival utilizes Los Angeles’ historic Tar Pits and green space to unite the local community in celebration of the city’s burgeoning music and arts scene by showcasing some of the most talented up-and-coming bands and artists. In past years, Tarfest has brought together thousands of Angelenos with performances from bands like Echosmith, Blondefire, The Steelwells, Nightmare Air, Saint Motel, Helena, Everest among others. Tarfest 2014 is made possible in part by a grant from the city of Los Angeles, Department of Cultural Affairs, the Los Angeles County Art Commission and The Japan Foundation, Los Angeles.